The Defense Advanced Research Projects Agency has unveiled a potential $2B campaign that seeks to invest in research-and-development programs that focus on artificial intelligence. The AI Next campaign is a multi-year investment effort that aims to develop “third wave” AI technologies with contextual reasoning capabilities designed to facilitate human-machine collaboration, DARPA said Friday. “With AI Next, we are making multiple research investments aimed at transforming computers from specialized tools to partners in problem-solving,” DARPA Director Steven Walker said Friday at the agency’s D60 Symposium in National Harbor, Md. “We want to explore how machines can acquire human-like communication and reasoning capabilities, with the ability to recognize new situations and environments and adapt to them,” added Walker, a 2018 Wash100 recipient. AI Next will explore several areas such as the automation of the Pentagon’s critical business processes; effort to enhance AI systems reliability; reduction in data, power and performance inefficiencies; development of next-generation AI algorithms; and ways to improve the security and resiliency of AI and machine learning technologies. 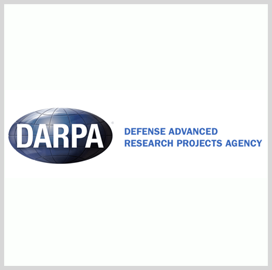 Part of the campaign is the AI Exploration program that DARPA introduced in July. Under AIE, researchers should determine the feasibility of third-wave AI-based ideas and concepts within 18 months of the contract award.